The cables are intended for connection of mobile mechanisms to electric networks with bends with a radius of not less than 8 cable diameters, at ambient temperature from -40 ° С to +50 ° С. Type of cable КГНВ Number of cores 1 Cross-section 25 Insulation .. Type of cable КГНВ Number of cores 1 Cross-section 50 Insulation .. Type of cable КГНВ Number of cores 2 Cross-section 1,5 Insulation .. Type of cable КГНВ Number of cores 2 Cross-section 2,5 Insulation .. Type of cable КГНВ Number of cores 3 Cross-section 1,5 Insulation .. Type of cable КГНВ Number of cores 3 Cross-section 2,5 Insulation .. Type of cable КГНВ Number of cores 3+1 Cross-section 25+10 Insulation&.. 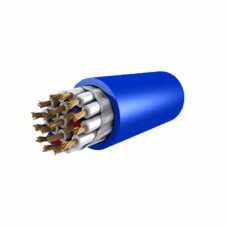 Type of cable КГНВ Number of cores 4 Cross-section 1,5 Insulation .. 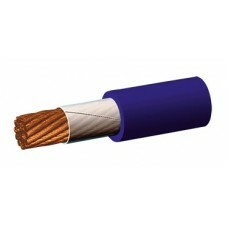 Type of cable КГНВ Number of cores 4 Cross-section 2,5 Insulation .. Type of cable КГНВ Number of cores 4 Cross-section 25 Insulation .. Type of cable КГНВ Number of cores 4 Cross-section 35 Insulation .. Type of cable КГНВ Number of cores 4 Cross-section 4 Insulation P..